Timothy Snyder joins Cameron Munter to explore the rise of authoritarian leaders and nationalist sentiments across Western nations, focusing on Russia's potential role in this process, as well as his latest publication, The Road to Unfreedom: Russia, Europe, America. "By saying after 1989 that history had come to an end, we were basically surrendering when we thought we were declaring victory. By saying that there were no alternatives, we were basically inviting all those alternatives to come back and get us, and saying we promise not to notice when they come," notes Synder on the response of Western leaders post-Berlin Wall. "We have to understand that history did not come to an end." 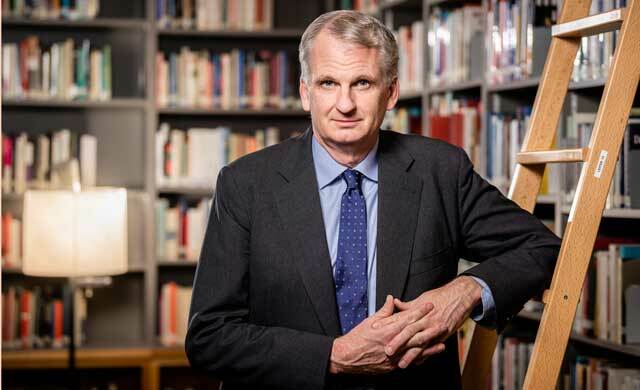 Timothy Snyder is a noted historian and a leading expert on European history. He is the Housum Professor of History at Yale University and a permanent fellow at the Institute for Human Sciences in Vienna. Snyder was the recipient of an inaugural Andrew Carnegie Fellowship in 2015 and received the Havel Foundation prize the same year. He has also received state orders from Estonia, Lithuania and Poland.